… and just like that, WOW!!! !, summer is gone and fall/October is here. WHEW…September was a busy month for this top chef. It was honor and pleasure for me to represent AALS at the highest cooking show (67th NALS National Conference) in Phoenix, Arizona. I appreciate the support from AALS that enabled me to make the trip. It was an even greater pleasure to have AALS fellow chefs, Linda Adair, PLS, Janice Miller, PP, PLS, CLS, Mary Hand, PLS, and Mimi Jackson with me. 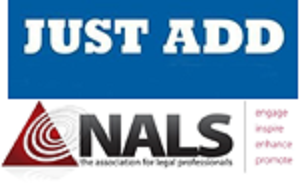 NALS offered us a diverse menu of Recipes (CLE) to choose from, i.e., domestic, civil, and criminal law, plus many others. The Recipes that I attended were awesome and the speakers were entertaining and knowledgeable. The Arizona members and task force really put a lot of time and energy into planning the NALS TOP COOKING SHOW!!! I was happy to see other fellow chef friends from afar, and was happy to meet many new chefs. I encourage each of you to make plans to attend the next NALS meeting. The dates and location should be announced soon. I’m sure that each of you read the special email and plea from Martha Cox, PP, PLS, who is chair of the Nominations and Elections committee. A call for nominations for 2019-2020 will be happening soon. 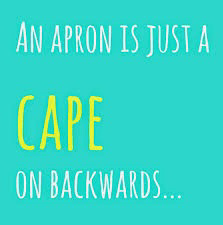 I encourage all of you to consider putting on a special apron so that you can show your cooking potential under the leadership of Debbie Johnson, PLS, as the 2019-2020 AALS President. If you want a position, feel free to nominate yourself. If your heart and mind tells you to nominate your friends for positions, please do so. And, if you get nominated, please consider accepting that nomination, as there is “someone” in this association who felt you would do great things in that position or you would not have been nominated. We need all the chefs in this AALS kitchen to make the recipes come together. APPROACHING – The deadline for the next issue of The Informer is December 14, 2018. Please submit your reports timely. 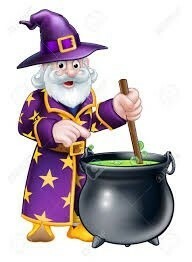 Now, back in my own kitchen, I am preparing the cauldron for a special night. Are you ready for the goblins, witches, and ghosts? 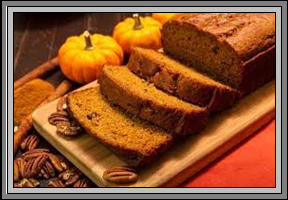 Halloween is right around the corner, and the next pages in the cookbook will be Thanksgiving and Christmas. Please, please keep me posted on any events that you might be having for Thanksgiving and Christmas. I would love to crash your special cooking parties!!!! Danny, I made this today and it is really good served warm with butter on it. Instead of two loaf pans, divide it equally between two bundt pans. I had one bundt pan. I have a pan that has four small bundt pans in it and I cooked the rest divided between the four. Some more really good. Try it, you’ll like it, and so will Scott. In a medium-sized bowl, mix the flour, salt, baking soda, and all spices (ginger, cinnamon, nutmeg and cloves) together. In a separate bowl, mix the pumpkin purée, pecans, melted butter, sugars, molasses, eggs and water together until blended. Combine the wet and dry ingredients and mix until just incorporated. Divide the batter between the two loaf pans and bake for 1 hour or until inserted toothpick comes out clean. Remove from oven and let cool 10-15 minutes and run the knife along the edge of pan to loosen loaf. How I miss both Ms. Sue and Ms. Dot!!! I wish you happy cooking and so hope that you enjoy Ms. Sue’s recipe. It’s up to you to make this RECIPE FOR SUCCESS an event that accomplished its intended purpose. In closing, I leave you with this, “your talent is God’s gift to you, what you do with it is your gift back to God”. 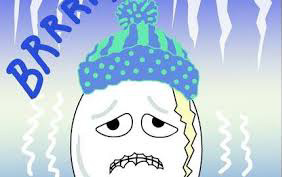 Brrrr, Baby It’s Cold Out!!!! © 2018 - AALS...The Association for Arkansas Legal Support Professionals | Website design by CMIP!